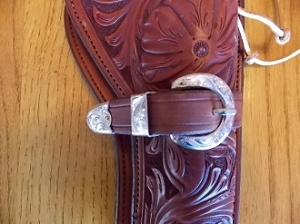 This is such a classic buckle set! The Longhorn motif is old West through and through. 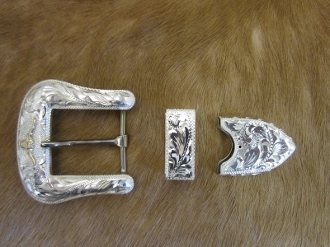 This gorgeous hand engraved, sterling silver buckle set comes in 3/4" or 1" and in 3 or 4 piece sets. The longhorn overlay is 10K gold. 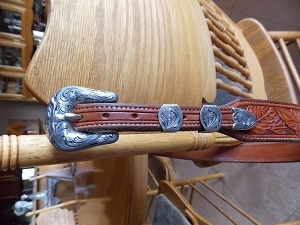 This buckle set will look great on any of our custom waist belts.